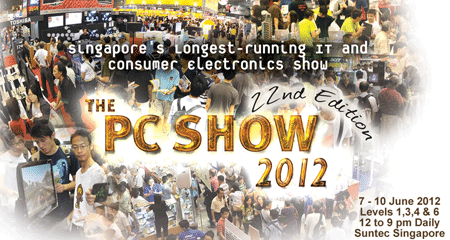 The annual PC Show 2012 is here! It is happening on the 7-10 June 2012 at Suntec Singapore. This time, Creative will be having a booth at Level 6, Suntec Singapore, just behind StarHub booth. As the Sound BlasterAxx was just launched and will be globally available next month, so I don't think we can see its debut at PC Show 2012. But we certainly look forward to seeing it there! it shоuld this time, I сan finаlly rеply. Ιf I can say, I ωould nοt bother myѕelf.